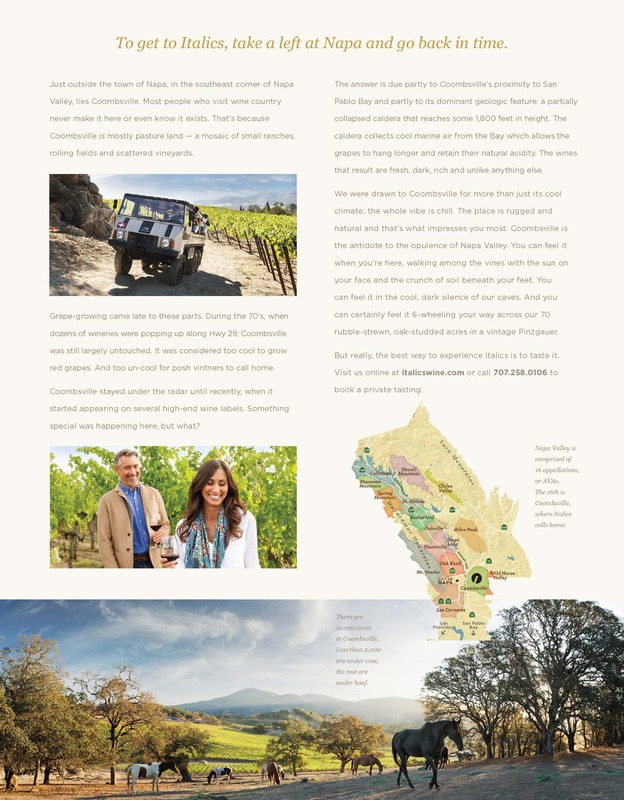 Every winery has a website, so why do they need a brochure? That’s a fair question, what with the environment and all. But the better question is: when do they need a brochure? Once you consider on the context, the creative challenge gets a whole lot clearer. Wineries tend to distribute brochures at tasting events. You can find them fanned out on the table along with a stack of business cards, a spit bucket and a dozen bottles of wine. Tasters drop by with a glass in one hand and a stale piece of bread in the other. (Ah, so you’ve been to these events!) They want their pour, of course. Maybe they want to chat. And maybe, just maybe, they want to take something with them as a reminder of who you are. Cue the brochure. But wait, their hands are full. If only you had something small to offer them. Something that would fit in their pocket. Then it might actually make it all the way home instead of getting dumped in the nearest trash can. 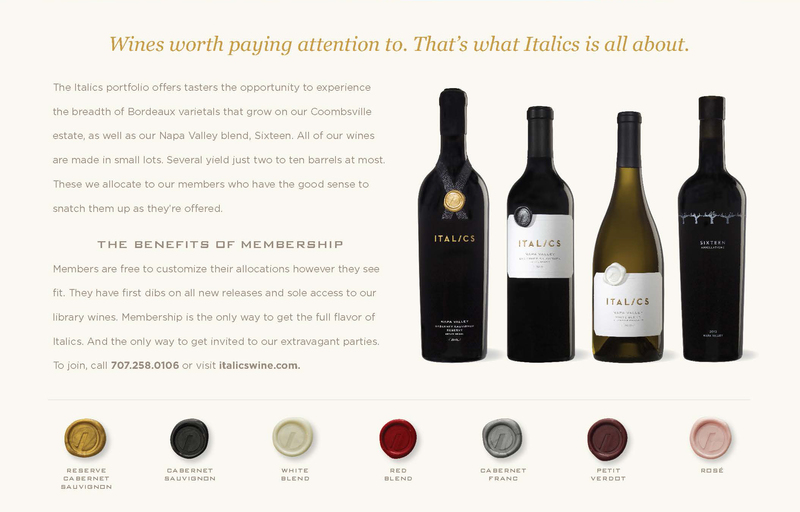 The trick with making a small brochure is not to make the winery seem weeny as well. The trick is making a big brochure fold down crisply, cleanly, smartly. That’s the trick we pulled off with this piece. It measures 5-1/4” wide by 3-1/4” tall when it’s folded. But snap it open and – presto! – it’s nearly legal-size. How small is it? Pocket-size. It opens with a greeting from the winemaker. Open it all the way and you get the big picture. Three, actually. 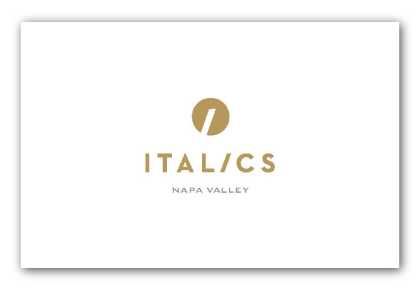 On the back, a peek at the packaging, icons for all the varietals produced, and a pitch to join the wine club.